Things move fast in spring! 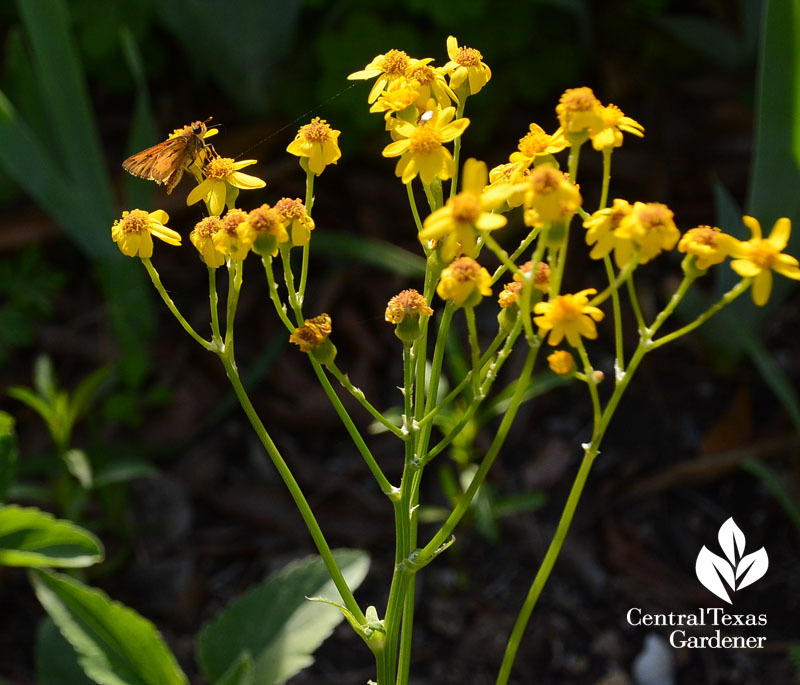 This skipper butterfly hurried over to get the last meals from the golden groundsel. Perhaps small birds will snag a few seeds before tufts of fluff catch the next breeze. 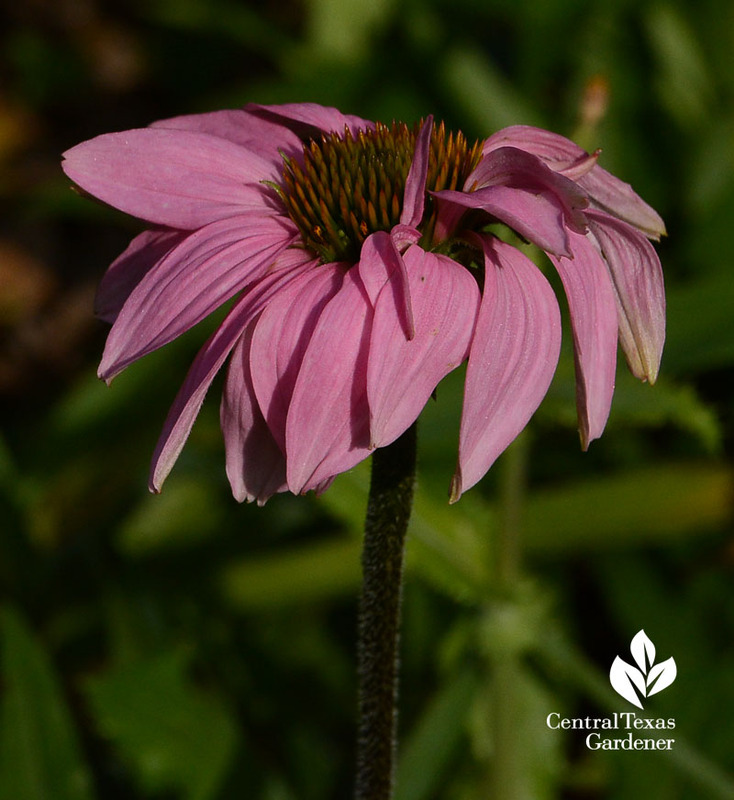 The first coneflowers are flirting. Retamas (Parkinsonia aculeata), also called paloverde and Palo verde, will soon captive pollinators on the wing. But John in Southern California discovered this precise “carving” on his ‘Desert Museum’ palo verde. What’s going on? I hit up David Cristiani, a landscape architect in New Mexico, who told us this appears to be rabbit damage. 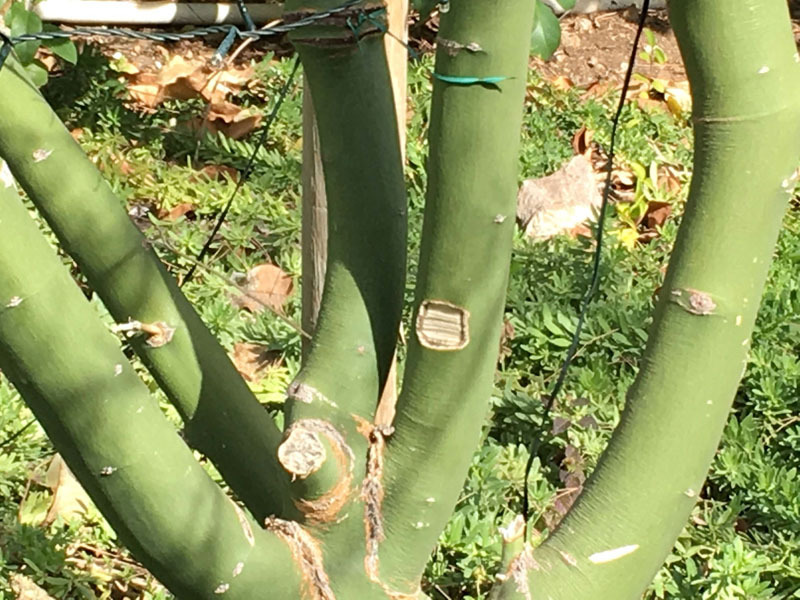 During drought, rabbits (and squirrels, among other animals) gnaw bark to get the moisture. 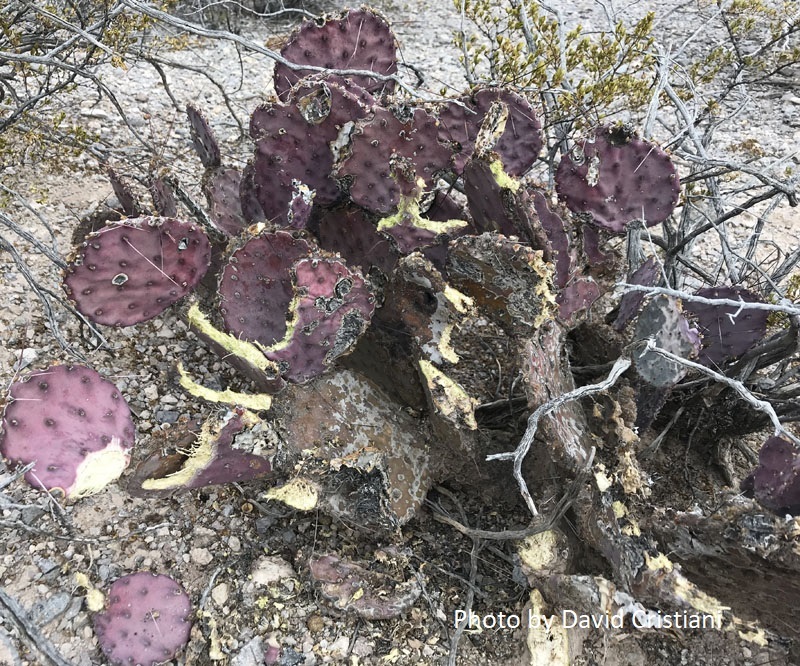 David sent along a picture of an Opuntia macrocentra that had been chomped by jackrabbits or cottontails, or maybe pack rats. He says that usually the pack rats eat cacti from burrowing under the roots and getting their moisture and roughage that way, in order to avoid the spines. Get Daphne’s complete answer, how to plant blackfoot daisy, and our viewer picture. 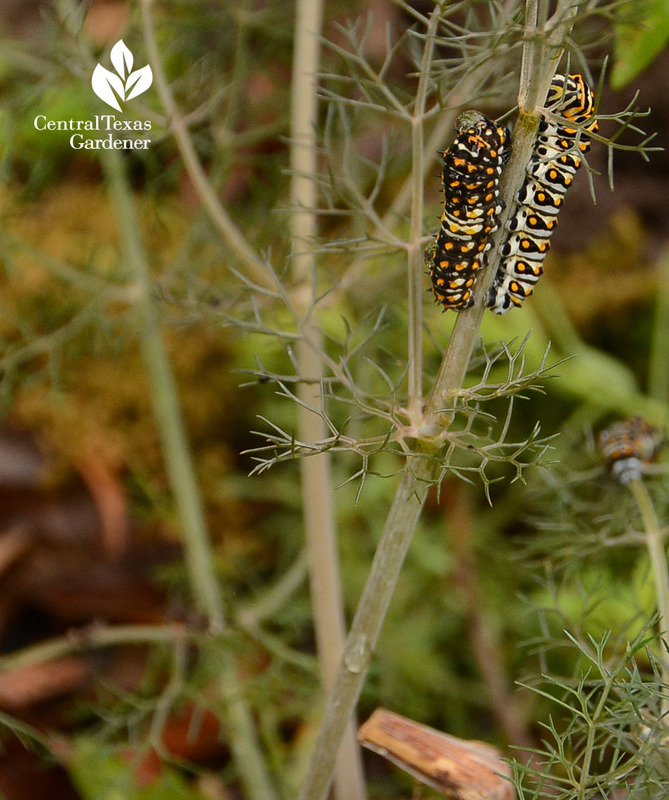 On garden munchers: I was thrilled to find two instars of Eastern black swallowtail caterpillars devouring my bronze fennel, which is exactly why I planted it! The black one, an early instar, took on its “white stage” after this picture. Despite drought and drenches, I can always count on my native Texas blue grass (Poa arachnifera) for evergreen texture and frothy spring flowers in part shade. 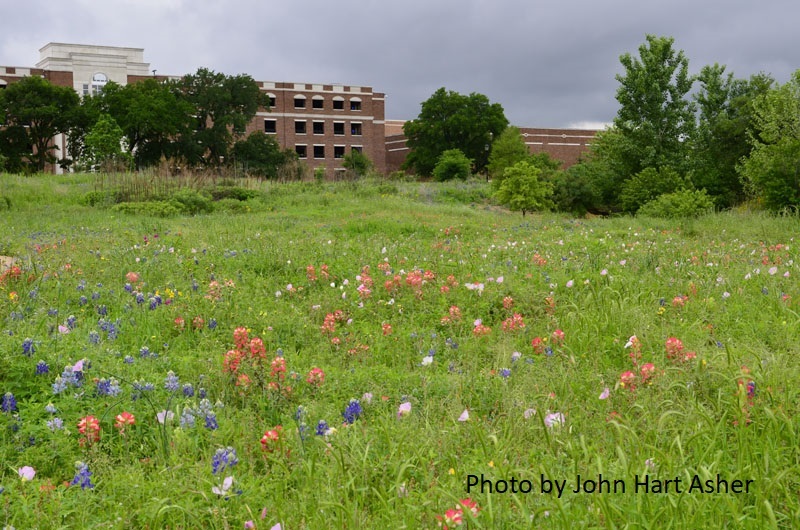 This week, John Hart Asher, environmental designer at the Lady Bird Johnson Wildflower Center, explains why to plant grasses in spring. Across the country, he’s working to develop urban prairies that matter to our long term ecology. 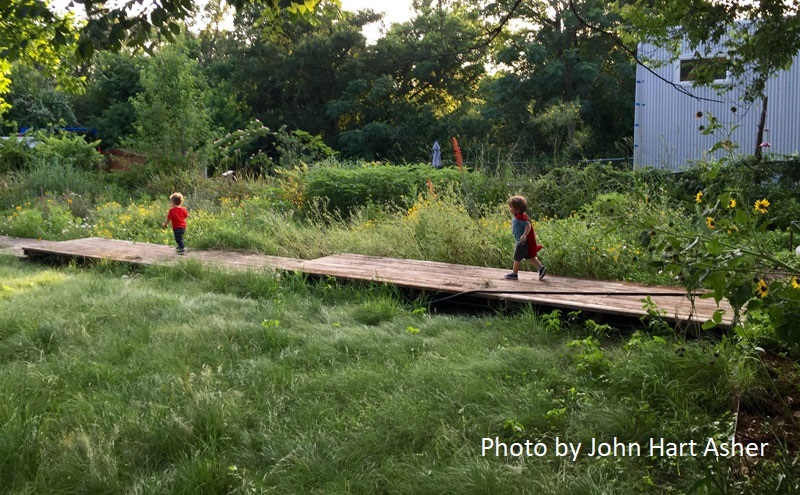 Typically, we’ve thought of prairies as rural spaces. Now, he’s concentrating on urban projects, like the George W. Bush Presidential Library in Dallas on the SMU campus. 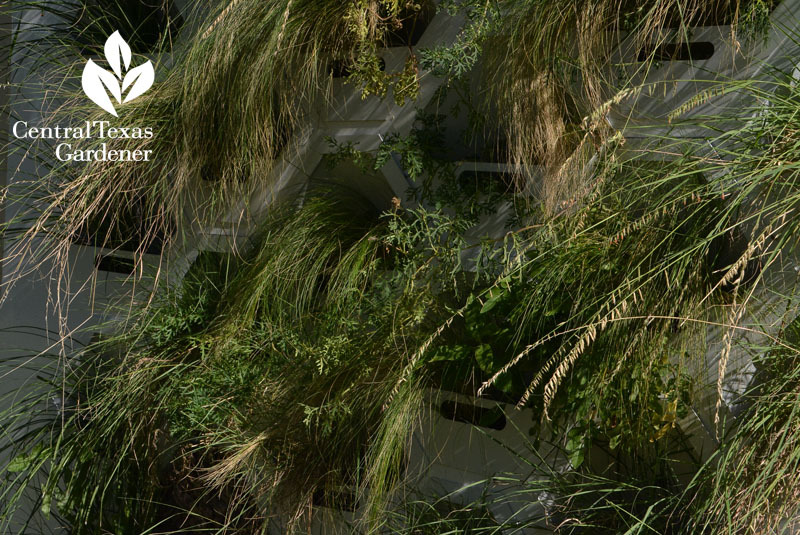 At home or in public spaces, grasses help control floodwater since their deep, fibrous roots let rainwater slowly infiltrate the soil. Watch now! 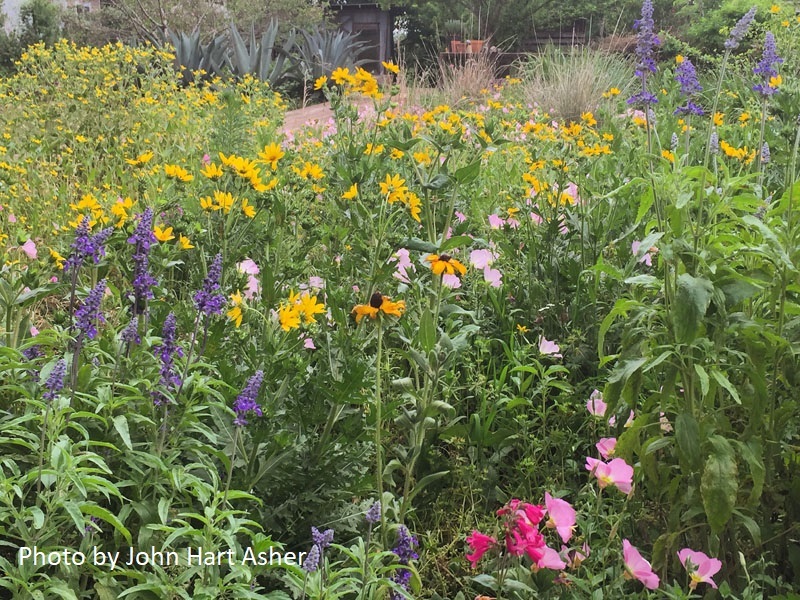 Add perennial and annual native flowers to build a holistic wildlife habitat. 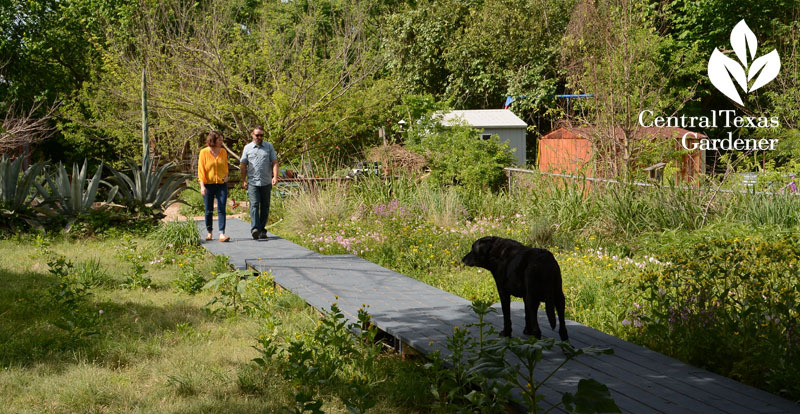 Watch our visit to his home micro-prairie with Bonnie Evridge and their son Adler. New baby son Fen wasn’t around yet, but got here as fast as he could on March 13 to help plant (eventually)! 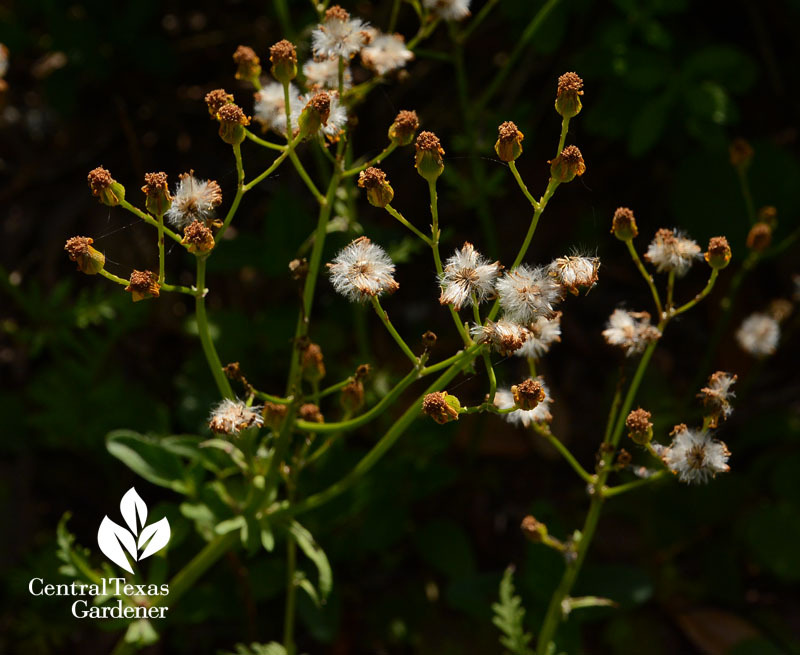 Get native plants and grasses of your own at the Wildflower Center spring plant sale, April 13 (members only—but you can join on site) and April 14. 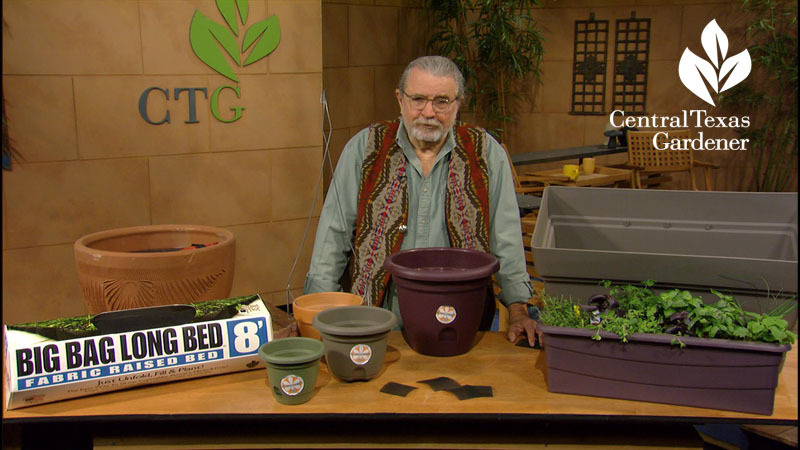 John shows how to grow food and flowers—even native plants—in containers. 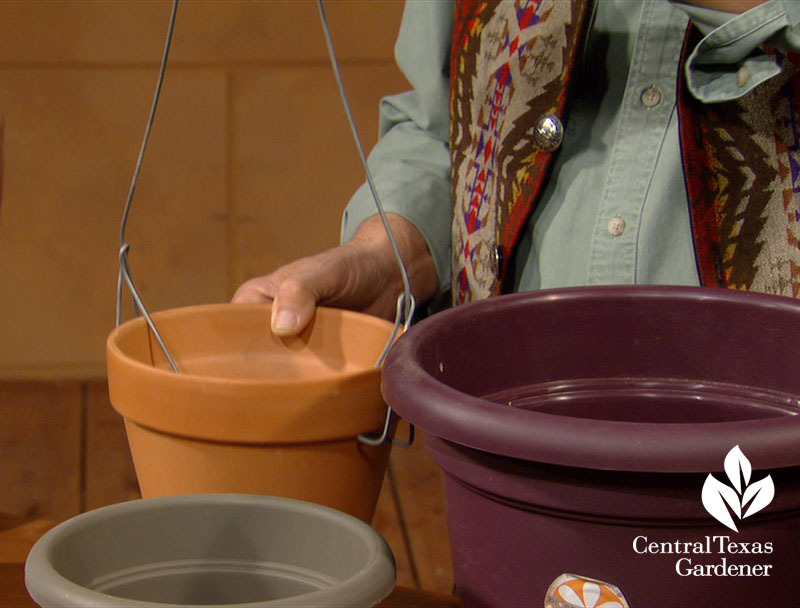 Suspend your garden with an orchid pot hanger to literally grow up! 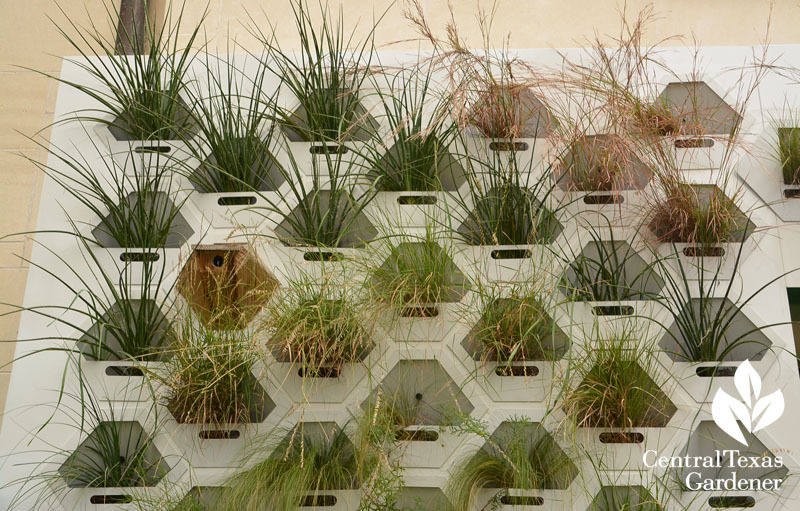 On tour, what exactly is a living wall and how can it change our future? 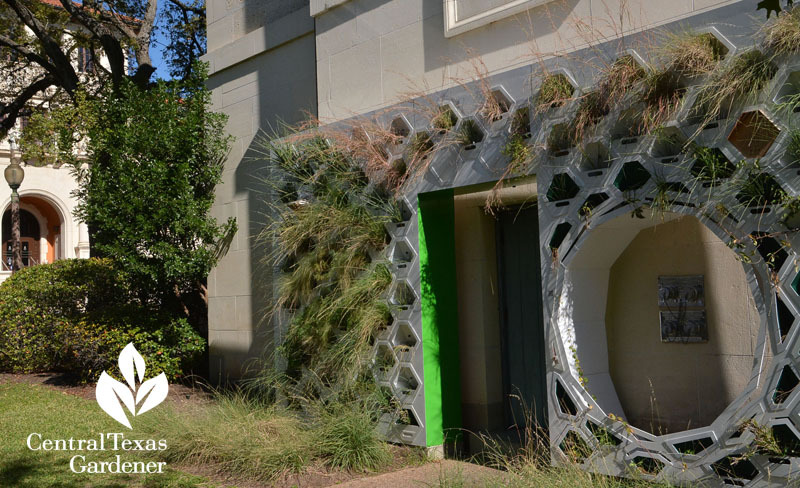 The University of Texas School of Architecture and the Lady Bird Johnson Wildflower Center collaborated to explore techniques in harsh conditions. 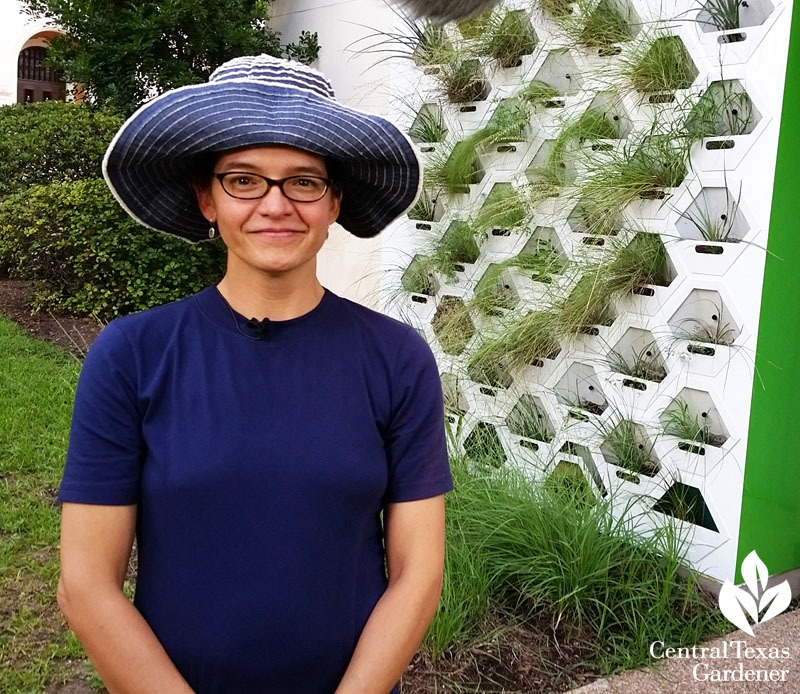 Danelle Briscoe, School of Architecture Associate Professor, designed and fabricated the 148 honeycombed plant cells on a 10 x 25-foot structure. 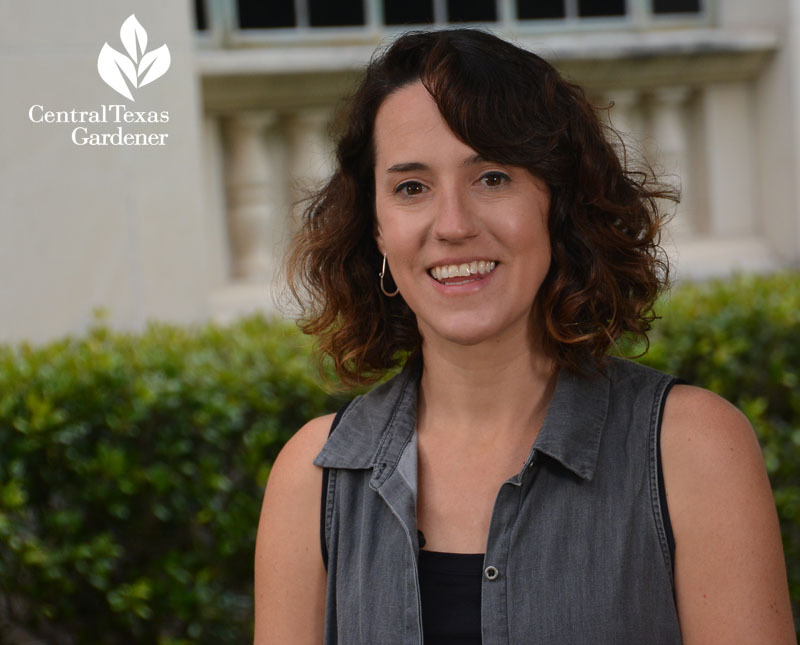 Michelle Bright, Environmental Designer at the Lady Bird Johnson Wildflower Center, selected plants from diverse Texas regions. Wildflower Center volunteers planted the cells with a soil media, long under development, that allows air to move through easily but still holds onto water. 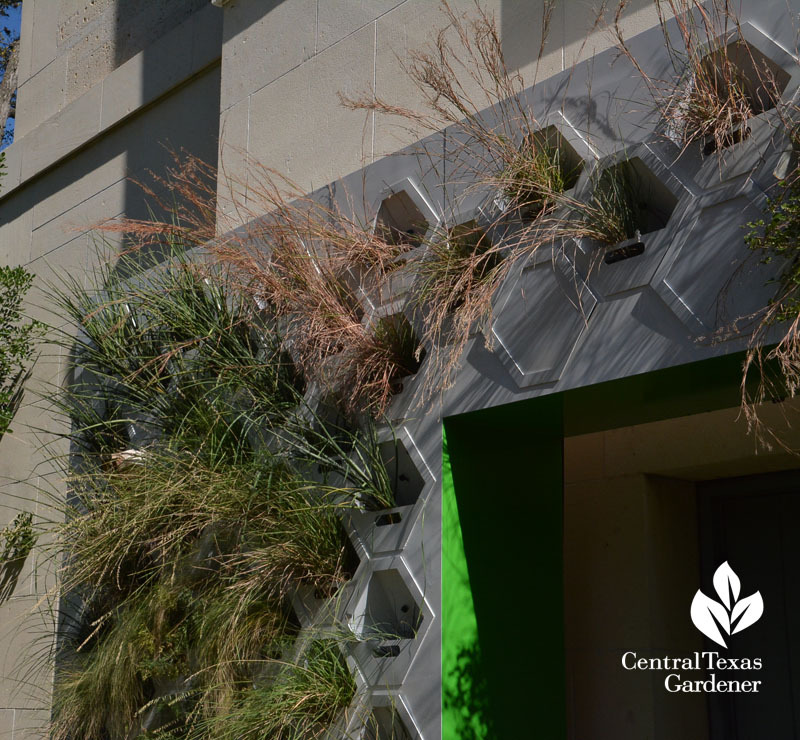 Planted in June 2016, the living wall has faced every test, from drenching rains a few weeks later to extreme heat, drought, and freezes. 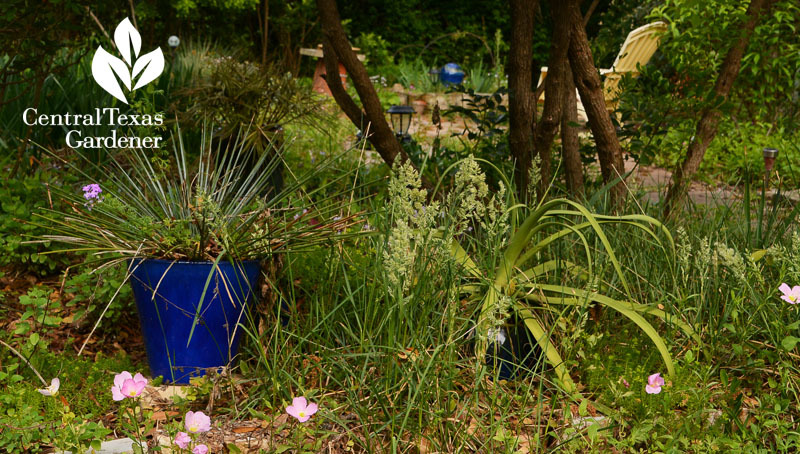 Grasses, nolina, and red yucca, among others, passed just fine. They’re constantly monitoring soil moisture, pH, thermal heat gain, salinity, temperature and light. Little bluestem just keeps on growing. 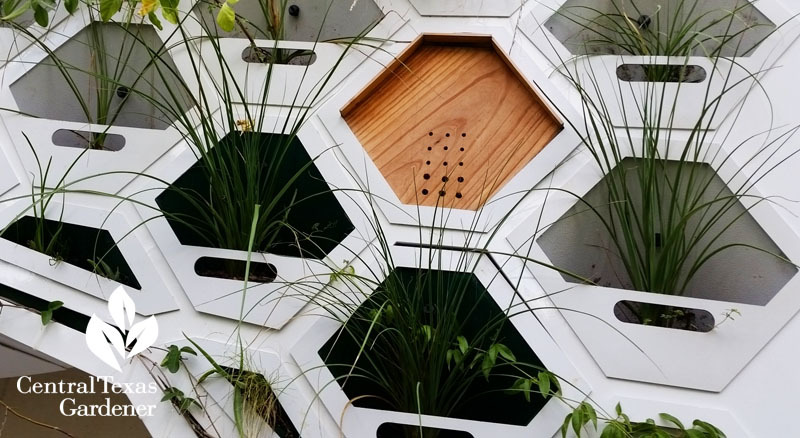 To create habitat, they’ve installed four wildlife destinations, and monitor motion to see who comes. 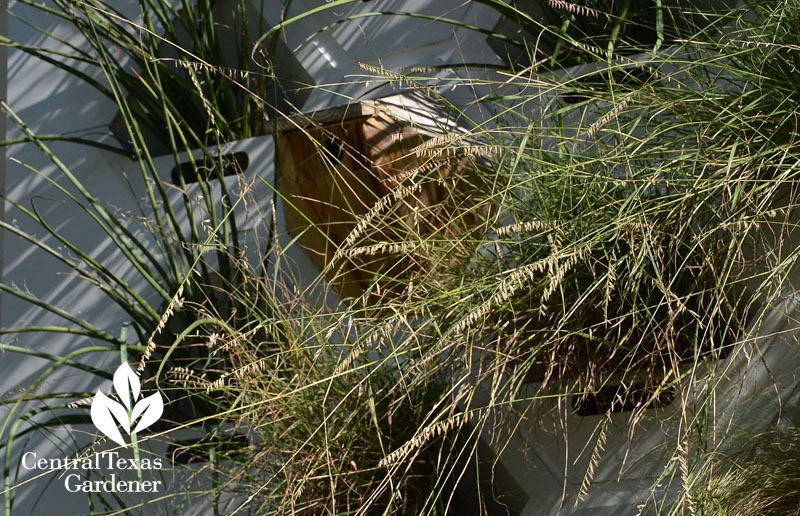 A specially designed wren house hunkers behind sideoats grama, the state grass of Texas. 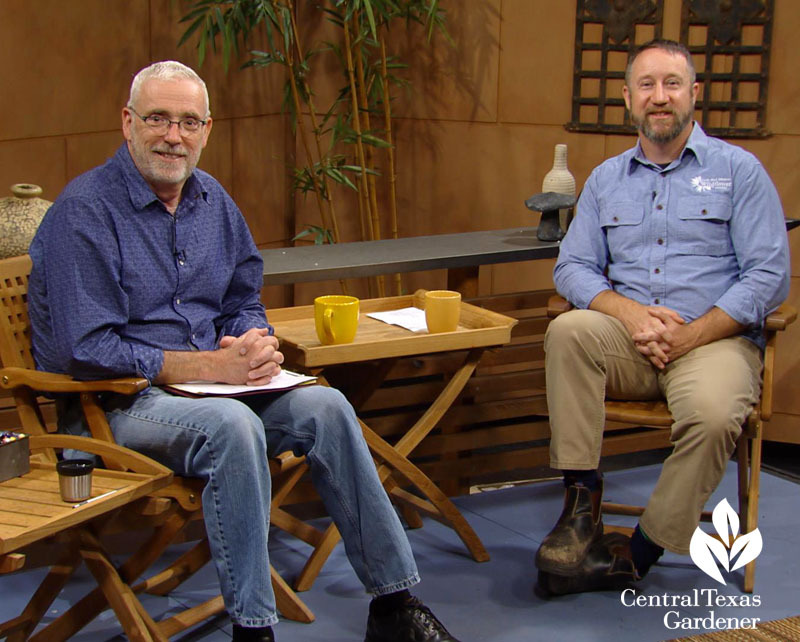 ← Spring into a New Season of CTG!